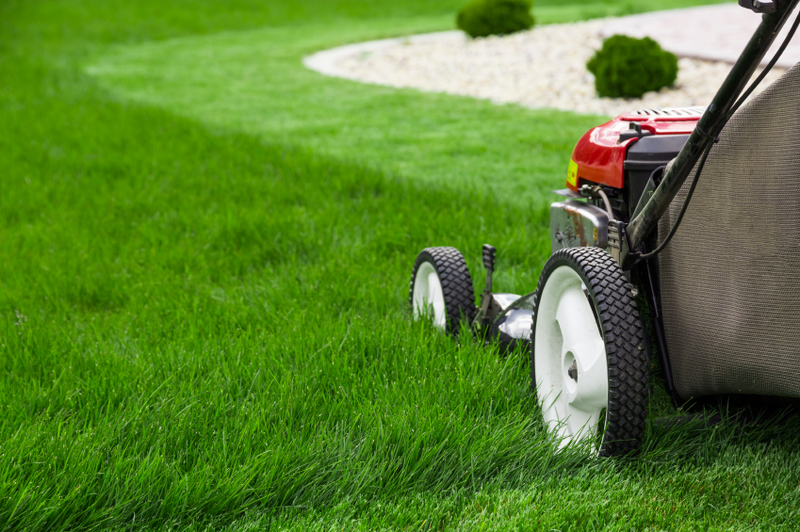 Now that Spring is here, many of you are diligently working time to reclaim your yard. Getting out those trimmers to cut back early flowering trees, shrubs and ornamental grasses will go a long way to improving the look of your garden. Pruning isn’t just done in the fall. Some plants benefit from having their dead foliage left attached over the winter. This protects their tender roots. Still, pruning stresses plants. Wait until they have flowered and gone dormant before attempting it. Pruning a plant while it is actively growing invites pests, diseases and fungus to enter through the wound. Woody perennials – Plants like Artemisia, Buddleia and Lavender bloom on new growth. Pruning now encourages them to send out new foliage. Evergreens – Some species don’t go dormant but do turn brown. Trim off these wilted leaves and apply some fertilizer. Flowering trees – Most early blooming trees set their buds last fall so you are safe to prune now. Avoid taking more than a third off the branches. Roses – Prune after flowering. Even species like repeat bloomers can benefit from tidying up. Remove dead or weak growth. Ornamental grasses add beauty to the landscape year-round. If you left yours up over the winter (the birds thank you for that! ), now may be the time to cut it back. It depends on the type of grass you have. Cutting your grasses back exposes the crown or base to sunlight and rain. Cool season – Varieties like Fescue, Ribbon grass, Feather grass and Tufted Hair-grass produce new shoots in the early Spring and flower by early Summer. Cut the dead growth back before new sprouts get too high. Avoid damaging the crown or base. This can kill the plant. Warm season – Species like Japanese Blood grass, Maiden grass, Fountain grass and Pampas grass produce new growth in late Spring/early Summer and flower in late Fall. Since these grasses send up new stalks later, you have more time to cut them back. Rake out dead foliage from the base to allow the sun to penetrate. 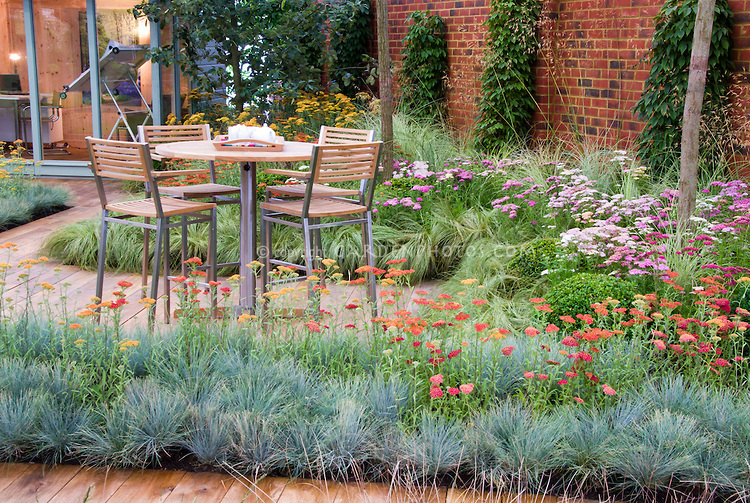 Cutting ornamental grasses can be a bit of a challenge, as these plants like to fight back. Many species have sharp-edged leaves, so be sure to wear heavy gloves, long sleeves and protective eyewear when tackling them. Bind the stalks with rope in a couple of places to make for easier clean-up. With a hedge trimmer, cut the grass back by a third. 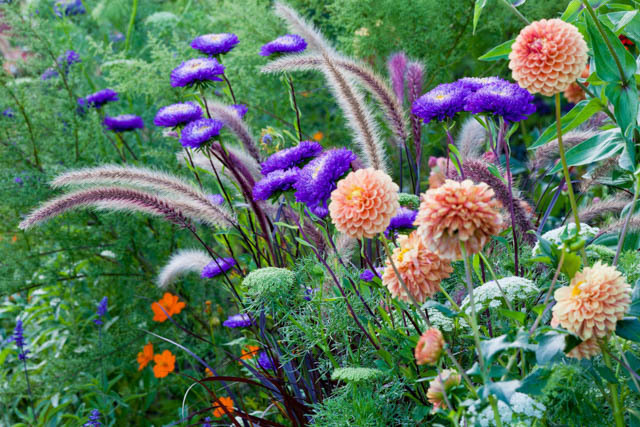 Now is also the time to divide your plantings. Use a sharp-edged shovel to portion off root sections to transplant. Pruning and freshening up your landscape will get your garden back in shape. Take the opportunity to inspect your plants and determine the ones that need a little extra TLC or fertilizer. Spring clean-up is a daunting job. Never fear, soon your hard work will pay off and the garden you missed all winter long will be a reality. Not sure what tool to use for a tough gardening job? Whether it is hedge trimmers and weed eaters or tree pruners and wheelbarrows, our expert staff is ready to recommend the best tool for the job. If you still need help organizing your gardening to-do list, Tackle Spring Clean Up in Your Yard With this Handy Checklist gives helpful tips. As always, if you have any questions about what to choose, pricing or how-to’s, don’t hesitate to contact us. Stop by our store — we’re open seven days a week. Getting your deck or patio ready for summer entertaining is a chore most people are looking forward to. If you stored your furniture and cushions over the winter, you are ahead of the game. If you didn’t, we have some simple tips to help get your outdoor furniture ready to go. The first step is to clean and inspect your furniture. See what needs to be re-painted or repaired. Don’t toss your old furniture. Energize it with a splash of color or vibrant new fabrics on the cushions. You’d be surprised what a thorough cleaning and a fresh coat of paint can do! Sweep or vacuum off dust and dirt – Covering your furniture while in storage will cut down on some cleaning but it does not eliminate it. Dust can build up. There may also be a few unwanted guests tucked inside. Give it a gentle cleaning – Don’t power wash them. The harsh spray can wear down any protective coating on the furniture or fabric. Avoid harsh cleaners – Start with mild dish soap and warm water. Some cushion fabrics are machine washable but use the gentle cycle. Never put them in the dryer. Fight mold – Sometimes mild soap alone will not remove stains. Use oxygen bleach and a soft scrub brush first. If you use chlorine bleach, test a small hidden section. Chlorine will kill the mold but it can break down your fabrics. Wear protective glasses and mask when working around mold. Dry in the sun – Allow your furniture to air dry completely. If you clean your umbrellas or hammocks, stretch them out to help retain their shape. The material your outdoor furniture is made of will determine how you clean it. As tempting as it may be to power wash everything and be done with it, a gentler approach keeps your décor looking better longer. Wood: Use mild soap and a soft scrub brush to wash the dirt off. If the furniture is badly stained, try an oxygen bleach cleaner. You can also lightly sand it and clean with a wood brightener. After your furniture is completely dry, apply a clear sealant to protect the wood from UV rays, dirt and mildew. Do this every 1-3 years. Metal: Most metals except aluminum rust. Catching it early is key. Clean with mild soap and water and allow to dry completely. Sand rust spots and touch up with paint. Apply a clear sealant when dry to protect from sun and moisture. A good coat of car wax helps repel dirt. Spray silicone lubricant on any hinges, joints or springs. Inspect your umbrella pole and stand for rust damage, too. Fabric: Outdoor fabric resists moisture but it can get dirty and develop mold. Use a mild soap and let them air dry. Re-treat the cushion covers with fabric protector every year to keep them looking like new. Checked the foam inserts for mold. If badly soiled, freshen things up with new ones! The grill – Even if you used it all winter, give it a clean start for the summer. Use a wire brush to scrub the grill and the inside elements. Umbrellas – Remove the fabric and wash on the gentle cycle. Dry it outside. (Don’t fold them up wet! Mold will grow.) If the fabric gets wrinkled, iron on a low setting. Storage bins – No one wants to pull a pool float out with spiders on it. Take everything out and vacuum the interior. Rinse down the pool floats, too. Plastic deck chairs – Use mild soap and a scrub brush to clean them. For aging, discolored chairs, consider spray painting them in a bold new color. Outdoor ceiling fans – If your outdoor dining area or porch has an overhead fan, wash the blades and oil the motor. Why buy new tables and chairs every year? By taking the time to clean and inspect your outdoor furniture, you extend its life. 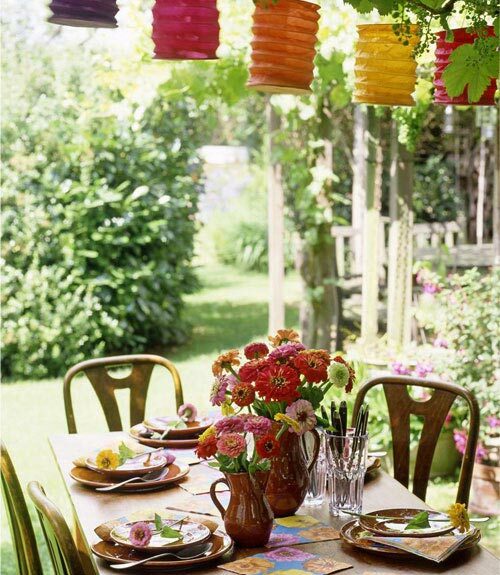 Spend a weekend whipping your outdoor space into shape. Summer is right around the corner and you’ll be entertaining family and friends before you know it. From orbital sanders and grinders to paint sprayers and pressure washers, our expert staff is ready to help you find the right tool to clean and repair your outdoor furniture. Planning ahead? Want to make sure you stow your outdoor furniture the right way at summer’s end? Check out our blog, Outdoor Entertaining Storage Made Easy in 8 Steps, for tips on the best way to pack things away. As always, if you have any questions about what to choose, pricing or how-to’s, don’t hesitate to contact us. Stop by our store — we’re open seven days a week.